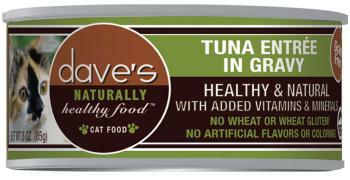 Dave's Naturally Healthy™ Grain Free Canned Cat Food 5.5oz is the best value for a good quality Grain-Free canned cat food you can buy. Available in Red Meat Tuna In Gravy, Red Meat Tuna & Chicken in Gravy, Mackerel & Red Meat Tuna in Jelly, Red Meat Tuna & Bonito in Jelly and Red Meat Tuna with Shredded Salmon in Jelly. 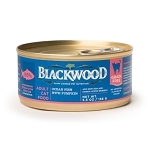 My cats loved this food. They are pretty fussy but didn't hesitate when I gave them this product. I will be ordering again and trying the dry cat food out. Cats really eat this stuff up. Glad to have an option to have it delivered instead of tracking it down.